For years the term “Alcoholism” or “Alcoholic” has been used to describe the disease state or the individual associated with excessive alcohol use. 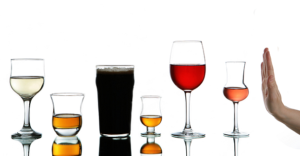 However, recent research and treatment models have suggested that alcohol abuse is not as “black and white” as being an alcoholic or not being an alcoholic. In other words, modification of alcohol use (as opposed to complete alcohol abstinence) may be a viable therapeutic approach for individuals who abuse alcohol. Alcohol use disorder is one of the most prevalent mental health disorders in the United States, and a leading cause of sickness and death in the country. In the US, alcohol use disorders and binge drinking have increased in recent years. Unfortunately, only 19.8 percent of adults with lifetime alcohol use disorder ever seek treatment or ask for help. Vivitrol is a non-addictive, once-monthly injection (extended release naltrexone) proven to help reduce heavy drinking days in alcohol-dependent patients when used with counseling. Vivitrol along with chemical dependency counseling help reinforce recovery for one month at a time while you work on the psychological aspects of addiction through counseling. Chemical dependency counseling is a different type of drug treatment. It addresses the ways in which drugs and alcohol affect people on personal and physical levels and in their relationships with others. In a MAT program for alcohol dependence, the therapy is just as important as the medication itself; the medication will help take cravings away while allowing you the opportunity to heal from the past. You’ll also learn positive coping mechanisms to avoid relapse in the future. We have a chemical dependency counselor on staff who is available for consultation during your appointments. You can also set up additional sessions with the counselor if you choose. 12 Step Meetings (AA) are about self-help and support. They don’t convince you that a certain pill or diet will take care of your addiction issues. They introduce you to principles that will help you to prioritize your recovery every day, all on your own. Twelve-step meetings are a great complement to MAT programs. Twelve-step meetings give you a place to vent since you can no longer find stress relief through drugs and alcohol. Meetings can help you make new friends and meet new people who are also living without abusing any illicit substances. Call North Dayton Addiction and Recovery Services to learn more about our Medication Assisted Treatment programs for alcohol dependence.